“So what’s the route from here to the Mississippi?” Deanna asked. She looked at me for a moment, then ran to her car to get a map. 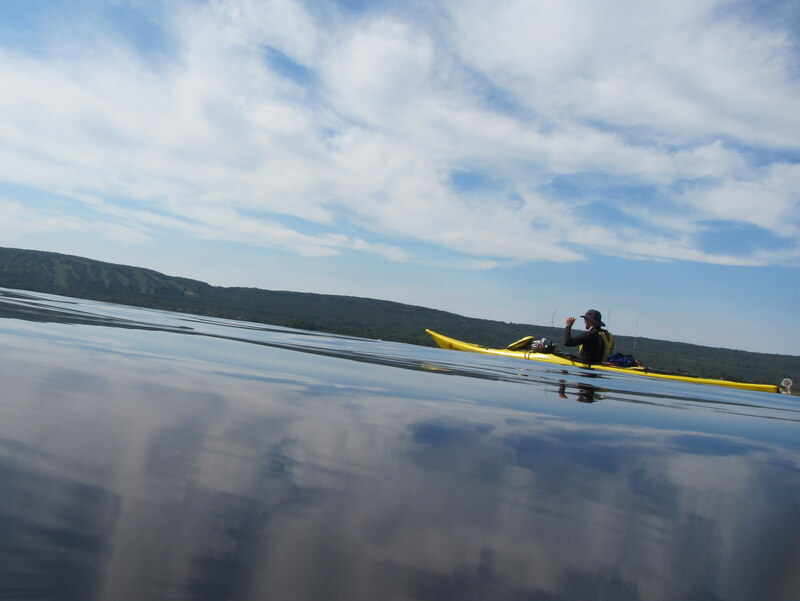 Deanna guides kayaks in the Apostles and works as an educator for the estuary preserve at the mouth of the St. Louis River. We’d met for a few minutes when I’d arrived in Duluth, just long enough for her to pack her bag for the weekend and hand me a key to her place. I needed the weekend to recover from the Apostles and prepare to fight up the St. Louis River. Deanna opened the map and spread it on the table. We stared at the map and started digesting what lay ahead. There are five dams and miles of rapids between Duluth and Floodwood. You can see the water churning white on aerial photos. On top of that, the floods that turned Duluth into a disaster area two months ago also ripped up enough of the infrastructure in Jay Cooke State Park to shut it down completely. Hundred yard swaths of road disappeared, hillsides washed away, and every bridge is gone. It might be years before it’s reopened. And all that is before the Savanna Portage begins with its six miles of bogs and swamp. I’ve asked and asked, but I haven’t found a single person who’s been there. Most don’t even know it exists. I just know the voyageurs hated it. “So how are you going to do it?” she asked. I wasn’t sure, but I looked at a map and saw how far three months has brought me from the Angle and how far I’ve got to go to Key West. It looks like I’ve barely moved, like I’ve been lost and drawing some great circle around Minnesota. I laughed at winter once, but not any more. It hangs in the cool night. I see it coming in the trees. Every day feels shorter. But there’s hope in that jagged line running down the center of the country. Get there, dip the bow in the muddy Mississippi, and I have a chance to bend the bottom of the map a bit closer. If I bend it far enough, winter can’t touch me. Posted in Angle to Key WestTagged AKW September, Angle to Key West, finding a way, mississippi river, savanna portage, st. louis riverBookmark the permalink.